Imagine that Barcelona has become one vast gallery of urban art. 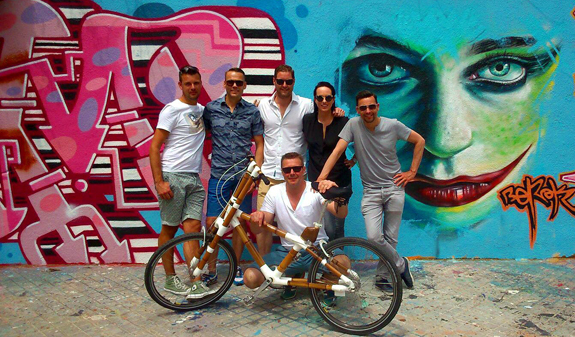 This is what you'll feel on this tour that will take you round the city by walk or on a comfortable bamboo bike while you discover the best examples of street art. 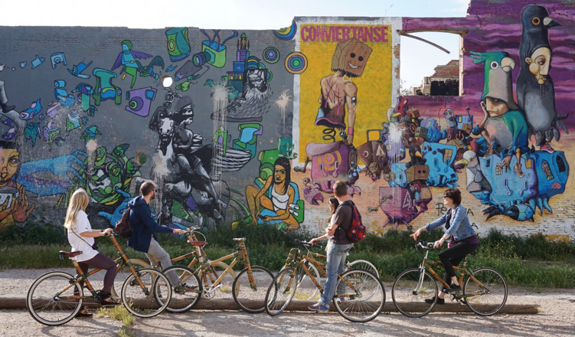 This tour will show you a different kind of city: the industrial and alternative Barcelona, with high walls painted with graffiti, stencils and all kinds of street art. A specialised guide, who is also an artist, will take you through this open-air museum of contemporary art and tell you about the main murals and most representative works of urban culture which are often hidden away and little known yet are fully integrated into the landscape. You'll also learn about the history of the movement and its artists, the variety of forms it can adopt and today's most widely used techniques. You can take the tour on a unique, ecofriendly bamboo bike or on foot; in the most sustainable way possible. 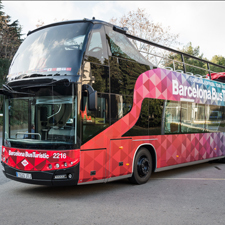 Depending on the chosen route you?ll go through the former industrial district Poblenou; the Raval or the Born. 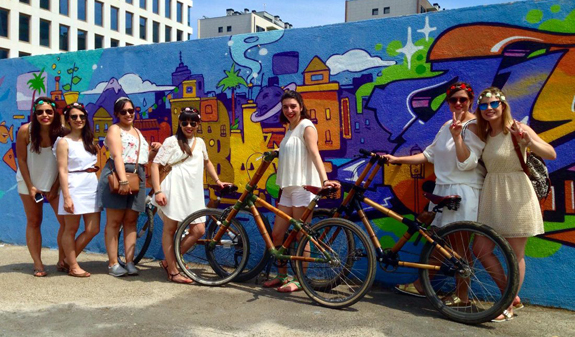 A Guided bamboo bike tour of the city's best examples of street art: Ciutat Vella (2h), Poblenou (3h) or Poblenou and Ciutat Vella (5h). 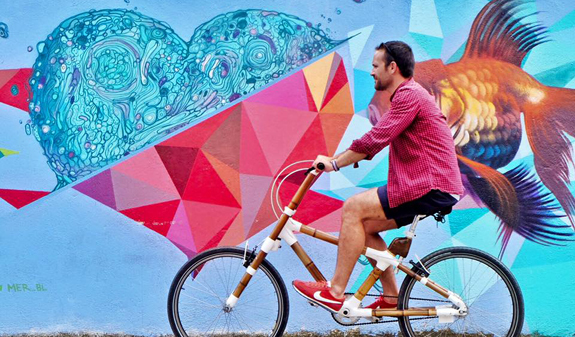 The 5-hour bamboo bike tour includes a drink and a tapa. 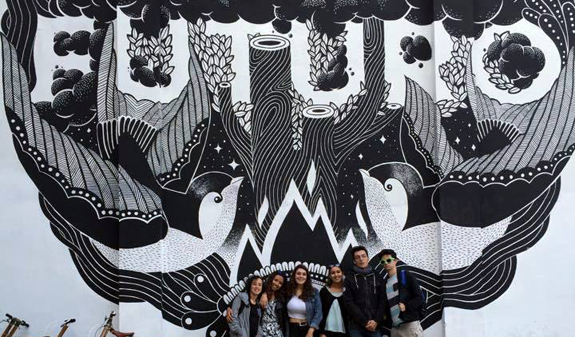 Two-hour guided walking tour of the city's urban art around Raval or Gothic Quarter and Born. The walking tour includes a visit to a gallery specialising into urban art. 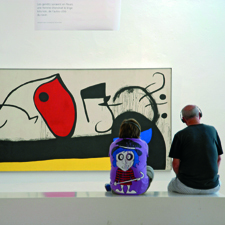 The guide is a street or an art curator who lives and works in Barcelona. Times: daily departures at 10am. Languages: English, Spanish, French, German and Russian. Length: 2, 3 or 5 hours depending on the chosen tour. Bike tour: El Ciclo shop. C /Nou de Sant Francesc, 17. Metro: L3, Drassanes or Liceu stop. Bus: 59, 91, 120 and V13. Walking tour: in front of the MACBA: pl. dels Àngels, 1. 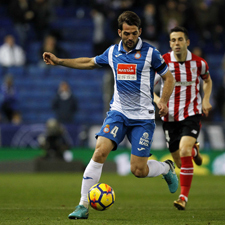 Metro: L1 and L3 stop Catalunya. Bus: 14, 59 and 91.